I was upgrading my White boxes this weekend. I had them populated with some Intel NICs (no problem with those) and some Realtek NICs. The unsupported Realtek NIC was not recognized after a clean install, but could be installed with community-supported drivers. Read on if you have the same problem and your Realtek 8169 NIC in ESXi 5.5 not detected. A fellow blogger Erik Bussink provides 2 VIBs for Realtek cards directly from in his post, where he explains that you can also “slipstream” those drivers directly to the 5.5 iso. If needed, you can use a very popular free tool from Andreas Peetz called ESXi Customizer. It’s on my free tools page too -:). I was trying different things in my lab. Upgrade one of the hosts, and also clean installation the other one, and with no surprise, the Realtek 8169 NIC card wasn’t there. I just needed to install the missing driver. The other two Intel NICs were there. The Realtek card is the one which is built in the consumer board I’m using in that Whitebox (It’s an old Asus Sabertooth x58 which is part of my lab since the beginning). If you have the same problem, you can download the VIBs and follow the steps for installing. And as you can see, you can also remove or update a vib with that command. VMware provides a full list of hardware which is “deprecated” in the ESXi 5.5. Here is VMware KB listing all unsupported NICs – Devices deprecated and unsupported in ESXi 5.5. Hopefully, this post helps someone who was in the same situation. A good option is to go for Intel based NICs which in most cases are supported. The best option is to check the VMware HCL before buying a NIC, still. I am so glad I read this as I only have Realtek 8168 and 8169’s in my home lab. A big thanks for highlighting this. I’m guessing that if I went along the upgrade route I’d be stuck as I wouldn’t be able to ssh in to add these. I’d like to avoid a full install, but I guess without buying a supported card, I’d have to slipstream those drivers in and do that? Hi. Is there a way to install Realtek VIB without network access? for example mount USB flash in esxi console and install it? Because it`s possible to install esxi 5.5 on a USB flash with VMware Workstation and boot target machine with this USB flash. It boot fine and there is access to console. Of course a messages shows that there is no network adapter! Of course ESXi-Customizer works fine for me. Just an idea. Thanks. Yes, it is. Once you complete installing ESXi 5.5 on USB with Workstation boot one from that USB as a VM using plpbt.iso. Then add small temp HDD, create datastore, copy VIBs to that datastore and using console execute esxcli commands – that’s it. Thanks for the article. I bought two of the new Shuttle Haswell builds and the Realtek 8168 doesn’t show up. I have Intel 4 port NIc’s in there, but it would be nice to have an additional one since I only have a PCIe x1 slot left. I had this same problem and your article guided me onto the right path of resolution. My firstborn son will thus be named Vladan! A PCIe x1 slot is perfect for an Intel Gigabit CT Desktop NIC, which (still) is supported with 5.5. But anyway I prefer to be able to make use of my two R8168/8169 NICs, so thanks Vladan & Erik! BTW: adding the drivers to a Kickstart image is even easier than patching the ISO. I am not able to download below vib file. It gives me white page. Hi Vladan and thanks for this guide. I’ve been able to enable a realtek 8111e on a ASrock H77 Pro4/MVP on ESXi 5.5 but no traffic flow..
I’m not able to ping vmk and so on .. any ideas about this ? I booted with ESXi-5.5 on my lenovo laptop. After initialization it gave me blank screen and laptop hanged. Did you ever find out why your ESXi 5.5 hanged ? was this due to the drivers or something else ? I have just installed the realtek 8168 driver has indicated by Vlanda and Erik so far so good on my Lenovo laptop x231, using the Startech dual port of EC2000s NIC. The only issue I’m having right now is researching where where to add static IP address to these new cards? Other reviewers reckon the driver is not stable, some says it’s ok. I’ll continue to monitor this and see how long it takes. Other alternatives I’m considering is this method also in the link below, usually comes with rj45 adapter. The only downside is carefully having to cellotape the rj45 adapter to the expresscard slot and passing the cable provided through the opeining of the expresscard housing to the mini pcie slot on the motherboard but should do the job being intel chipset. This has worked for me in the past but for some reason I am getting an error this time around. No image profile is found on the host or image profile is empty. An image profile is required to install or remove VIBs. To install an image profile, use the esxcli image profile install command. Thanks for this. It worked for me doing a fresh 5.5 install which did fail without the provided drivers. MTU size (Jumbo frames) vSwitch / NIC capped at 4000 as opposed 9000 Startech has this feature up to 9000. TCP off loading (on some NIC cards) – Startech does not have this yet on their specifications. The Realtek 8168 vib driver seems to have limited capabilities, any chance of getting another vib driver ? laptop x230 – Lenovo x230 laptop x 4. WOL (Wake On Lan) – Startech dual port has this however the driver 8168 does not make this available, ESXi 5.5 cannot be remotely started. It’s supplied with rj45 and cables, I just need to see if I could pass the cable carefully through the back of the expresscard housing opening and continue through the expresscard slot to where the rj45 adapters will be, worth a try as they save money compared to startech dual port of £85. Anyone has any ideas of this mini pcie card on their laptops ? The link is broken to the vib files. Can you provide new ones ??? Thanks for the note. The links got updated. Worked for me. I am glad that I visited this blog. Thanks a bunch. Did you get the solution of your problem? I have the same problem. Hi ,everyone! who can help me? I am can not download it. ESXi 5.5 cannot be remotely ping,and ESXi 5.5 cannot ping other pc. any one can provide to me? Vladan, j’ai du enlever les VIB de mon sites web. Trop de traffic et sourtout des liens de partout sans references. Aaron, you can download the latest ESXi 5.1.0 Update 2 iso file from VMware and extract the VIB file from there. I keep getting the following when trying to use the ESXi-Customizer tool with VMware-VMvisor-Installer-5.5.0.update01-1623387.x86_64.iso and the 2 above VIP files. [Thu 03/20/2014 14:12:12.55] !– FATAL ERROR: Error unpacking the VIB file! [Thu 03/20/2014 14:12:15.27] This is the end. I’m using Windows 7 64-bit. Any guidence? The transaction is not supported: VIB VMware_bootbank_net-r8168_8.013.00-3vmw.510.0.0.799733 cannot be live installed. any ideas why its coming up with that ? Thanks! This is great… exactly what I was looking for. This was my exact issue and also learned how to check installed software sets and install them with this writie up. I didn’t know ESXi had configurable drivers and assumed you were stuck with what ever driver store the system came with. Thanks!! Thank you, this was super helpful. I was able to get the nics on my GA-Z87N-WIFI working in ESXI 5.5. I needed to use the net-alx-2.0.0.6b.x86_64 & net-e1000e-2.3.2.x86_64 VIBs. You may want to mention that you have to also change the Acceptance Levels to Community for the e1000e VIB to work. Hi everybody, does anyone get the situation which with same hardware except hard drive one for 160GB and the other is 500GB. The former one can detect and install the Realtek 619 ethernet driver successfully but the later one can not. For the later one I re-installed 5.5 again and installed 619 driver first and reboot but not detected and then installed 618 driver later and reboot, failed detected again. I issued vib list command to ensure the 619 driver was installed when system booted. What should I do to correct this situation ? Do you guys have the vib for Intel 82575GB ? seems that it is also not supported. At first I move the ESXI customizer to the folder where I had the ISO and it kept telling me there were illegal characters in the filename and to rename it. But it wasn’t until I downloaded a fresh version of ESXI Customizer and ran it from where I dL’d it that it worked. Hope this helps someone if they move things around too. Thanks so much for this information! I just purchased a TP-LINK TG-3468 NIC and ESXi would not recognize it. With the help of your instructions I was up and running in 10 mins! Hi, i am newbie .and i m trying to install ESXi 5.5 and its giving an error : No network Adapters. I using GA-Z97N-Wifi mainboard. How can i found my network adapter driver. i tried to add some .vib files. with ESXi-Customizer but it dosent work. I think the best way is to get a supported NIC (for cheap via eBay). Then it will be detected. The best way is to check VMware HCL: http://www.vmware.com/resources/compatibility/search.php?deviceCategory=io and choose “Network” as a device IO type. You save my day. Thanks for share this solution. Both the VIBs via the links in the article are corrupted according to 7z. U don’t need 7zip to use a vib. Just SSH. I also was able to install the system. Any idea on why no such file or directory happens? Probably too late, but for future reference..
You need to specify the full path. Hi thanks do you please have a vib file for DELL inspiron 5110 ? I just tried to add this VIB on ESXi 6 but It didn’t work. Do you know any workaround for version6? It seems there is no driver for ESXi 6 yet. Old drivers are obsolete now and no longer working with ESXi 6. I guess we have to wait for new drivers, i’m not sure if they will ever show up though. I’m trying to do an ESXi 6 install as well and having trouble. Any workarounds would be great. This worked, thanks a lot! greetings all, I tried the above using a putty session on esxi 6.0, the command returned the the second screen short youhave above, and i typed ‘install’, it brought out a console for upgrading esxi 6.0 to esxi 6.0, and i followed the prompt until it said in encounters an error and reboots, pls am new to linux. 1) Where can I check the log? 2) Is there a fix for this? I am newbee for this. 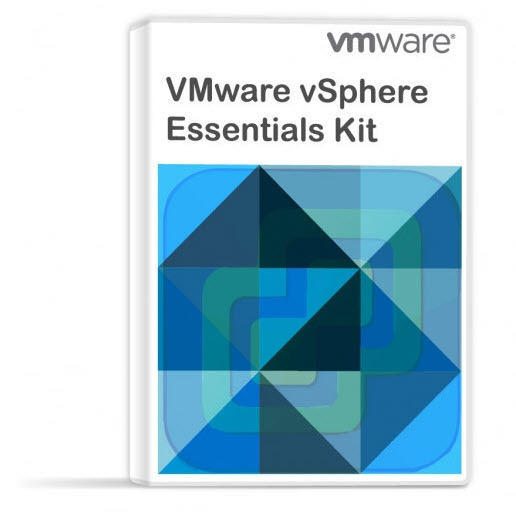 I’m new to VMWare, I love Vmware, you ease my life to make a concrete lap. I’ve been able to install it without any problem, but after reboot I still can’t see the NIC listed. I finally found the answer here..
There’s a modified driver for my NIC (Dlink DGE-528T) to make it work. My card DLink DFE-530TX REV-C2 is not detected by ESXi 6.0, how can I get its vib driver ? Thanks very much for this. I was stuck with the same issue and it’s now resolved. I’m looking into doing the same by re-purposing an old motherboard I have too. I was especially looking into VT-d pci-e passthrough support and if you had any comments on it? From what I’ve read online thus far, for Bloomfield CPUs (LGA-1366), the CPU doesn’t matter for VT-d support as it’s all happening in the discreet northbridge (in the x58 chipset) while more recent intel architecture have embedded the northbrige on-die so the CPU now does matter. So as long as the motherboard supports it (and there’s such an option in the Sabertooth’s bios to enable vt-d) it should all be fine. Interestingly however, Asus’ latest bios for that motherboard also lists having “improve VT-d compatibility issue” which might relate precisely to that bug listed on the Xen wiki page. Do you have any experience to share using VT-d on that Asus Sabertooth x58 host? I’m pretty confident it would work just fine, simply looking for your additional input. Thanks men, it worked for me. In “esxcli software acceptance set” the option level is preceded by 2 dashes instead of one “–level”. 1: Install ESXi510 update 3 and enable and test SSH access. This version still supports the Realtek-816* network adapters. 2: Get ESXi600-201608001.zip from https://my.vmware.com/group/vmware/patch and upload the file into the ESXi510 datastore. 5: Reboot the ESXi system: no network adapter will be found. On the ESXi console use Alt-F1 to switch to the shell and login with the root account. 6: Copy the /altbootbank/net_r816.v00 and /altbootbank/net_r816.v01 files to the /bootbank/ directory. 7: Edit /bootbank/boot.cfg and insert the entries for the net_r816.v* files between the other net_* entries. 8: Reboot the ESXi system: the Realtek-816* network adapter will be used. is this applicable to esxi 6.0? After installing ESXi 6.5, everything is working fine and the Realtek nic will not be available as expected. Then I installed the Realteak VIB driver and rebooted the Server. But after the reboot, there were no nic available. This means, the DCUI is showing that there is no supported nic installed. I didn’t see this issue before, e.g. with ESXi 5.5 and 6.0. Does anyone had a similar issue? During the first try to insert the Realtek VIB driver, I was using the 8169 vib file. This seems to be not working with my onboard Realtek nic. Now I tried again with the 8168 vib file and the onboard Realtek will be detected successfully after rebooting the Server. But all of my other nic’s are no longer available, only the onboard Realtek nic will be available in the DCUI. Seems to be my other nic’s are no longer available because the native misc drivers will be removed during the Realtek vib installation. Thank you very much, I used both VIB files and after rebooting, the onboard Realtek NIC, that had long since been unavailable to me as well as my two new NICs are now available. The procedure worked like a charm. Thank, I can install a TP-Link TG-3468 adapter on my ESXi 5.5. Excelent post. Thanks very much for the concise and easy to follow instructions, it worked first time DropBox links are accurate as of (30.05.2017). On an Asus motherborard with two NIC, one Intel and the other a Realtek I got the same issue. These drivers don’t work on 6.5 version. All can be done from ESXI gui without opening a console ….